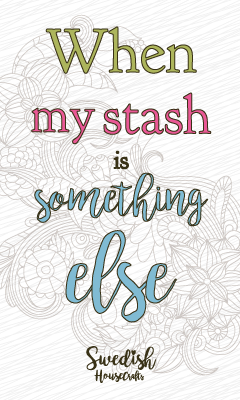 Those who know me know that I love little boxes and it was to make them that I started my walk through the world of scrapbooking. 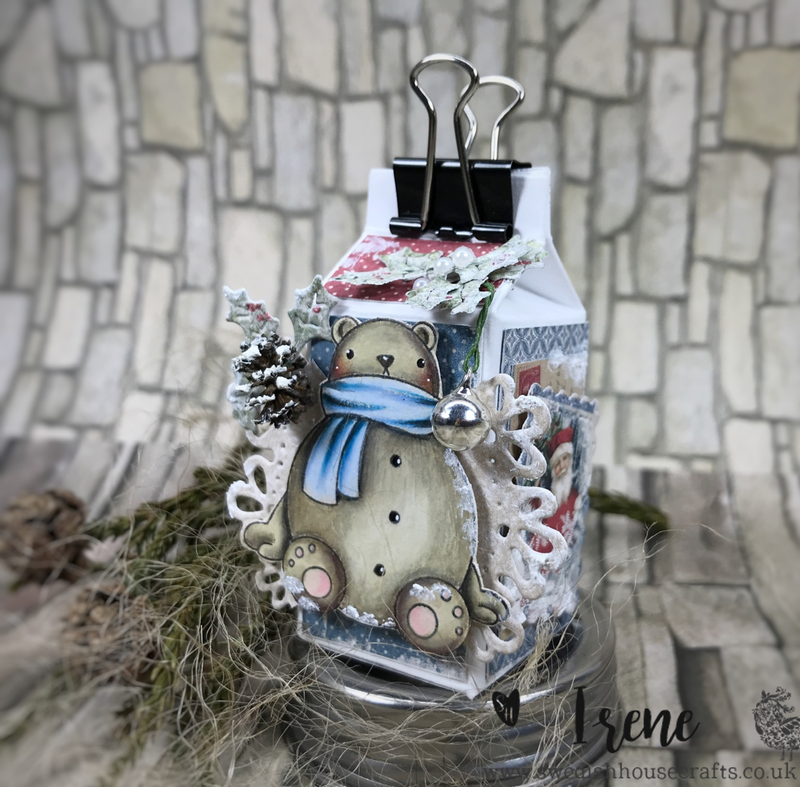 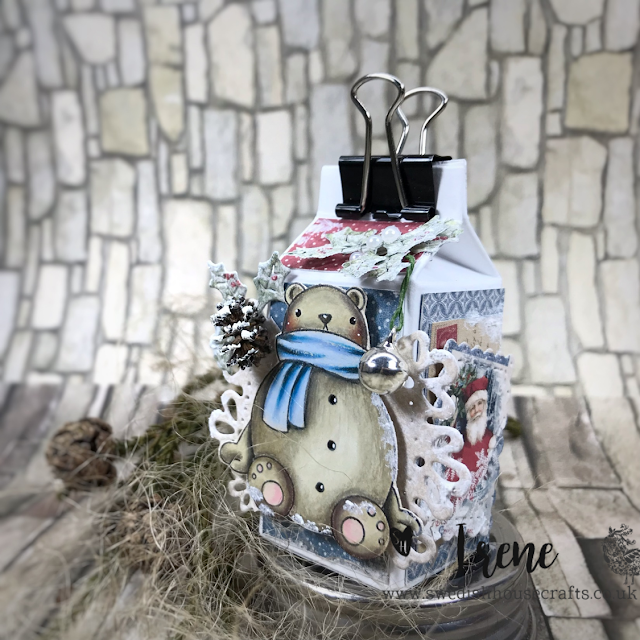 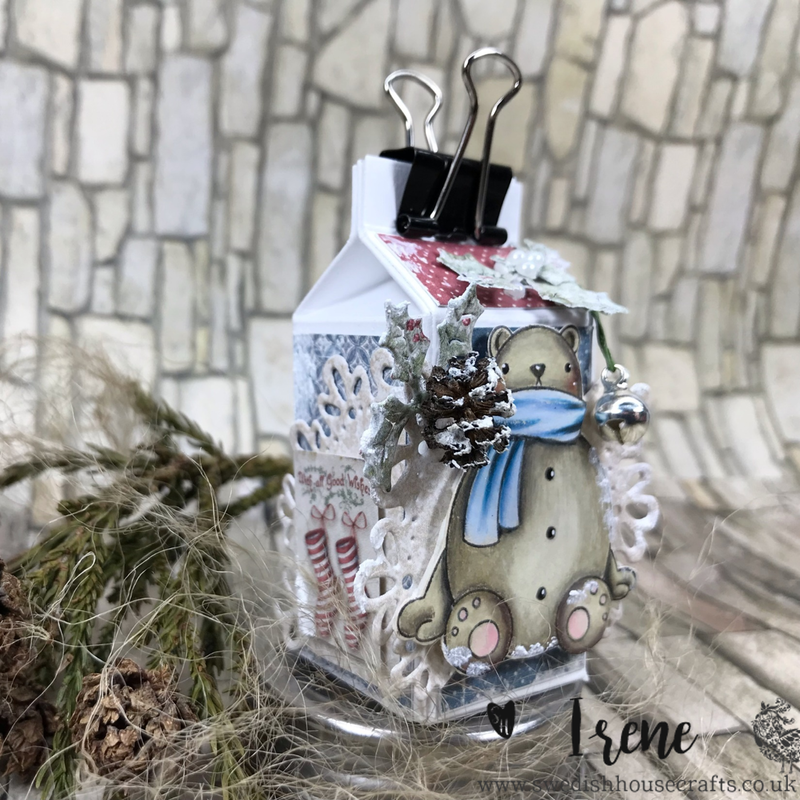 So today I bring you the fabulous Gummiapan Die - Milk Carton decorated with the beautiful papers of the latest collection of Maja Design - Christmas Season as well as the beautiful Gummiapan Snow Bear Stamp I painted with my prismacolor pencils. 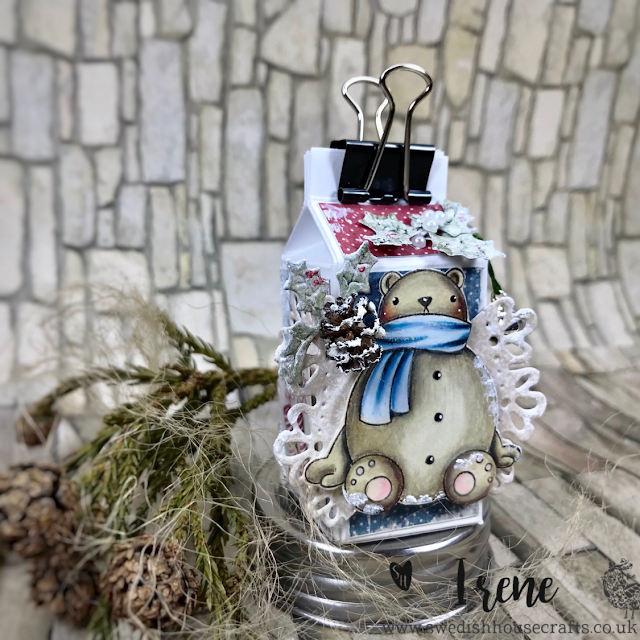 I use Prismacolor pencils to coloring my "Snow Bear Stamp"